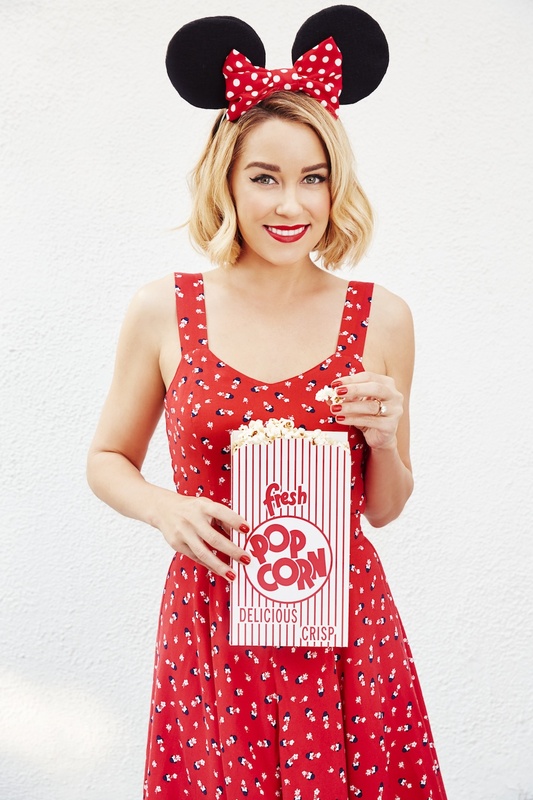 For a few days now Lauren Conrad has been playing coy, delivering a few hints on Instagram on what Disney character her next Kohl’s collection would be inspired by. Finally, it’s been revealed! It’s none other than Mrs. Mouse herself, Minnie! It doesn’t surprise me that Kohl’s would request a Minnie Collection. They’ve had a long-time standing relationship with Disney. And if you remember last year, Arianna was lucky enough to be one of the first to debut their children’s Magic At Play Collection, also featuring Disney’s lady mouse! As far as the LC Lauren Conrad line, expect to see plenty of Minnie’s signature elements of polka dots and bows in sweet blouses, skirts, dresses, and tees in her signature red, black, and white hues. With prices ranging from $36 to $68. Take a look at some of the pieces below. They’re just as sweet as pie! Maybe a little TOO sweet if you ask me. I would have love to see a more sophisticated interpretation of a Minnie line, but I guess we'll just have to wait to see the rest of the collection when it hits stores on May 11.